The Grand Vizier of the Ottoman Empire (Turkish : Vezir-i Azam or Sadr-ı Azam (Sadrazam); Ottoman Turkish: صدر اعظم or وزیر اعظم) was the de facto prime minister of the sultan in the Ottoman Empire, with absolute power of attorney and, in principle, dismissible only by the sultan himself in the classical period, before the Tanzimat reforms, or until the 1908 Revolution. He held the imperial seal and could convene all other viziers to attend to affairs of the state in the Imperial Council; the viziers in conference were called "kubbe viziers" in reference to their meeting place, the Kubbealtı ('under-the-dome') in Topkapı Palace. His offices were located at the Sublime Porte. During the nascent phases of the Ottoman state, "Vizier" was the only title used. The first of these Ottoman Viziers who was titled "Grand Vizier" was Çandarlı Kara Halil Hayreddin Pasha (also known as Çandarlı Halil Pasha the Elder). The purpose in instituting the title "Grand Vizier" was to distinguish the holder of the Sultan's seal from other viziers. The initially more frequently used title of vezir-i âzam was gradually replaced by sadrazam, both meaning grand vizier in practice. Throughout Ottoman history, the grand viziers have also been termed sadr-ı âlî ('high vizier'), vekil-i mutlak ('absolute attorney'), sâhib-i devlet ('holder of the state'), serdar-ı ekrem ('gracious general'), serdar-ı azam ('grand general') and zât-ı âsafî ('vizieral person') and başnazır,  literally "prime minister" in Ottoman Turkish. Çandarlı Kara Halil Hayreddin Pasha was the first Grand Vizier of Murad I's reign. He was also technically the first in Ottoman history who held the title "Grand Vizier", the first who had a military background, and the first member of the illustrious Çandarlı family to hold high office. His family was to mark the rise of the Ottoman Empire between 1360 and 1450. In the late periods of the Ottoman Empire, especially during and after the 19th century, the Grand Vizier began to hold a position almost identical to that of a Prime Minister in other European states. Reforms seen during and after the Tanzimat (1838), the First Constitutional Era (1876–1878), and the Second Constitutional Era (1908–1920) further brought the office of the Grand Vizier in line with the European standard, making the incumbent the head of a Cabinet of other ministers. During the two constitutional eras, the Grand Vizier also served as the speaker of the Senate, the upper house of the bicameral Ottoman Parliament. With the establishment of the Republic of Turkey in 1923, the Prime Minister of Turkey took on the roles of the former office. The Tanzimât was a period of reform in the Ottoman Empire that began in 1839 and ended with the First Constitutional Era in 1876. The Senate of the Ottoman Empire was the upper house of the parliament of the Ottoman Empire, the General Assembly. Its members were appointed notables in the Ottoman government who, along with the elected lower house Chamber of Deputies, made up the General Assembly. It was created in its first incarnation according to the Ottoman constitution of 1876, which sought to reform the Ottoman Empire into a constitutional monarchy. Grand Viziers were often replaced or resigned in rapid succession, frequently leading to political instability. In the final 10 years of the Empire alone, the office of the Grand Vizier changed hands 13 times between 12 men; some, such as Ahmed Izzet Pasha and Salih Hulusi Pasha, held office for less than a month. Ahmed İzzet Pasha, known as Ahmet İzzet Furgaç after the Turkish Surname Law of 1934, was an Ottoman general during World War I. He was also one of the last Grand Viziers of the Ottoman Empire and its last Minister of Foreign Affairs. Salih Hulusi Pasha, known as Salih Hulusi Kezrak after the Turkish Surname Law of 1934, was one of the last Grand Viziers of the Ottoman Empire, under the reign of the last Ottoman Sultan Mehmed VI, between 8 March 1920 and 2 April 1920. Since he had been unable to form a government, and as part of the chain of events following the occupation of Istanbul by the Allies, he was dismissed from office by the sultan under foreign pressure on 2 April. His dismissal was to be followed by the official closure of the Parliament itself on 5 April, thus putting an end to the Second Constitutional Era of the Ottoman Empire. The ottoman Empire in its 600 year rule witnessed many great Grand Viziers. But some had a much more greater value than many others. Some were known for their political reforms while others for their wealth and civil status. Some well known officers are : Pargalı Ibrahim Pasha for his extreme influence in the empire during his time. He had close relations with the greatest ruler in the history of the empire Suleiman the Magnificent. He is also known as one of the wealthiest Grand viziers of the Empire. Another well known Grand Vizier is Damat Rüstem Pasha who also served during the reign of Suleiman. Rustem was known for his wealth and his influence over the sons of the sultan. Sokollu Mehmed Pasha is also well known in the Ottoman history as he served for three Ottoman sultans Suleiman The Magnificent. Selim II and his son Murad III. He was also married to one of the daughters of Selim II and he had played a major role in the enthronement of Selim. Pargalı Ibrahim Pasha, also known as Frenk Ibrahim Pasha, Makbul Ibrahim Pasha, which later changed to Maktul Ibrahim Pasha after his execution in the Topkapı Palace, was the first Grand Vizier of the Ottoman Empire appointed by Sultan Suleiman the Magnificent. Suleiman I, commonly known as Suleiman the Magnificent in the West and Kanunî Sultan Süleyman in his realm, was the tenth and longest-reigning Sultan of the Ottoman Empire from 1520 until his death in 1566. Under his administration, the Ottoman state ruled over at least 25 million people. Sokollu Mehmed Pasha was an Ottoman statesman. Born in Ottoman Bosnia into an Orthodox Christian family, Mehmed was taken away at an early age as part of the Ottoman devşirme system of collection of Christian boys to be raised to serve as a janissary. These boys were converted to Islam, raised and educated, but in turn were offered opportunities to work and to rise within the Ottoman imperial system; Sokollu Mehmed Pasha is one of many that made the best of their careers. 4. Sinanüddin Fakih Yusuf Pasha 1349 1364 Turk,  Ahi. 5. Çandarlı Kara Halil Hayreddin Pasha (Çandarlı Halil Pasha the Elder) 1364 22 January 1387 Turk, from Cendere (or Çandar), a village near Ankara; see Çandarlı family. The first vizier to hold the title "grand vizier" and also the first with a military background. 8. Amasyalı Bayezid Pasha 1413 1421 Turk,  of Albanian origin,  [ incomplete short citation ] from Amasya. 11. Çandarlı Halil Pasha the Younger 1439 1 June 1453 Turk  (Çandarlı family). First grand vizier who was executed. 12. Zaganos Pasha 1453 1456 Devşirme. Albanian, Greek or Serb. 24. Hadim Ali Pasha (1st time) 1501 1503 From Drozgometva in Bosnia (Hadim = Manservant), from a minor noble family called Ostoja. 26. Hadim Ali Pasha (2nd time) 1506 1511 From Drozgometva in Bosnia (Hadim = Manservant), from a minor noble family called Ostoja. 58. (Cağaloğlu/Cağalazâde) Cigalazade Yusuf Sinan Pasha 27 October 1596 5 December 1596 Italian. From the noble Genoese family of Cicala. 64. Sokolluzade Lala Mehmed Pasha 5 August 1604 21 June 1606 Serb  (Lala = Tutor to a Sultan ). Sokollu Mehmed Pasha's nephew. 68. Gümülcineli Damat Nasuh Pasha 5 August 1611 17 October 1614 Albanian,  from Gümülcine. (Damat = Bridegroom to the Ottoman dynasty). One of the seven husbands of Ahmed I's daughter Ayşe Sultan. 82. Hafız Ahmed Pasha (1st time) 8 February 1625 1 December 1626 Pomak (Bulgarian Muslim),  from Filibe. One of the seven husbands of Ahmed I's daughter Ayşe Sultan. 85. Hafız Ahmed Pasha (2nd time) 25 October 1631 10 February 1632 Pomak  from Filibe. 93. Kara Musa Pasha 16 September 1647 21 September 1647 Unknown origin. Not included in some lists. Died after appointment, before receiving the seal. 106. Zurnazen Mustafa Pasha (held office for 4 hours) 5 March 1656 5 March 1656 Albanian  (Zurnazen = Clarinettist). Not included in some lists. Promoted from in-attorney title to the rank of full grand vizier due to the influence he exerted on the sultan for Gazi Hüseyin Pasha's dismissal from the office. His appointment caused an uprising in Istanbul and he was exiled after having held the seal for four hours. 116. Bekri Mustafa Pasha 30 May 1688 7 November 1689 Turk,  from Tekirdağ. 119. Merfizonlu Hacı Ali Pasha 23 March 1692 17 March 1693 Turk,  from Merzifon. 120. 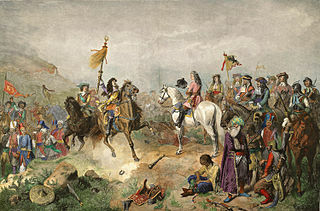 Bozoklu Mustafa Pasha 17 March 1693 March 1694 Turk,  from Bozok (Yozgat today). 123. Amcazade Köprülü Hüseyin Pasha 17 September 1697 4 September 1702 Albanian  (Köprülü family). 129. Teberdar/Baltaci Mehmed Pasha (1st time) 25 December 1704 3 May 1706 Turk,  from Osmancık. 131. Köprülü Numan Pasha 16 June 1710 17 August 1710 Albanian  (Köprülü family). 132. Baltaci Mehmed Pasha (2nd time) 18 August 1710 20 November 1711 Turk,  from Osmancık. 146. Muhsinzade Abdullah Pasha 22 August 1737 19 December 1737 Possibly Arab,  from Aleppo. 156. Hekimoğlu Ali Pasha (3rd time) 16 February 1755 19 May 1755 From Istanbul, Venetian convert father and Turk mother. 173. Darendeli Cebecizade Mehmed Pasha 5 January 1777 1 September 1778 Turk,  from Darende. 174. Kalafat Mehmed Pasha 1 September 1778 22 August 1779 Bulgarian,  from Sofia (Kalafat = Caulker). 177. Yeğen Hacı Mehmed Pasha 25 August 1782 31 December 1782 Turk  (Yeğen = Nephew, to the Ottoman sultan in his case). 178. Halil Hamid Pasha 31 December 1782 30 April 1785 Turk,  from Isparta. Great-grandfather of Kemal Derviş, current administrator of the UNDP. 182. Cezayirli Gazi Hasan Pasha 2 January 1790 30 March 1790 Unknown origin. (Cezayirli means "from Algiers" since he had been a corsair there). 183. Çelebizade Şerif Hasan Pasha 16 April 1790 12 February 1791 (? ),  from Rusçuk. 199. Benderli Ali Pasha 21 April 1821 30 April 1821 (? ),  from Bender (Moldavia today). The last grand vizier who was executed upon an order clearly given by the sultan (because of the Greek War of Independence). 205. Topal Izzet Mehmed Pasha (1st time) 26 October 1828 28 January 1829 Turk,  from Darende. 218. Damat Mehmed Ali Pasha 4 October 1852 14 May 1853 Hamsheni  ( Damat = Bridegroom to the Ottoman Dynasty). 219-220. Mustafa Naili Pasha (1st time) 14 May 1853 30 May 1854 Albanian,  from Egypt, called Giritli=Cretan because he had served as governor in that island for a long time. 232. Keçecizade Mehmed Fuad Pasha (1st time) 22 November 1861 6 January 1863 Turk,  from Konya (Keçecizade family). 238. Ahmed Şefik Midhat Pasha (1st time) 31 July 1872 19 October 1872 Turk (? ),  family from Rusçuk, born in Istanbul. 241. Şirvanlı Mehmed Rüşdi Pasha 15 April 1873 14 February 1874 Turk  or Kurd [ citation needed ], from Şirvan. 249. Ahmed Vefik Pasha 4 February 1878 18 April 1878 Turk,  from Istanbul. 262. Kâmil Pasha (1st time) 25 September 1885 4 September 1891 Turk,  from Cyprus. 265. Kâmil Pasha (2nd time) 3 October 1895 7 November 1895 Turk,  from Cyprus. Hayır Bey ruled Egypt in the name of the Ottoman Empire from 1517 until his death in 1522. He was granted the position of governor by sultan Selim I of the Ottoman Empire for his help in the conquest of Egypt. Koca Mehmet Ragıp Pasha (1698–1763) was an Ottoman statesman who served as Grand Vizier from 1757 to 1763, as the provincial governor of Egypt from 1744 to 1748, and as a civil servant before 1744. He was also known as a poet. His epithet Koca means "great" or "giant" in Turkish. Semiz Ali Pasha was an Ottoman statesman from the Sanjak of Bosnia who served as Grand Vizier of the Ottoman Empire from 1561 to 1565. He was the beylerbey (governor) of Egypt Eyalet from 1549 to 1553. Semiz Ali Pasha was born in Prača in Bosnia, and replaced Rüstem Pasha as a Grand Vizier. After palace schooling, he discharged high-level functions along the Ottoman Empire. Yavuz Ali Pasha or Malkoç Ali Pasha was an Ottoman statesman. He belonged to the Malkoçoglu family and served as the Grand Vizier of the Ottoman Empire from 16 October 1603 to 26 July 1604. He had previously served as the Ottoman governor of Egypt from 1601 to 1603. His installation as Grand Vizier took place on 29 December 1603, over two months after his appointment and a week after the accession of Ahmed I, due to the time it took him to settle affairs in Egypt and travel to Constantinople. He brought with him two years' worth of the province's back taxes. Mere Hüseyin Pasha was an Ottoman statesman of Albanian origin. He was two times Grand Vizier of the Ottoman Empire in 1622 and 1623, and previously the Ottoman governor of Egypt between 1620 and 1622. His epithet "Mere!" comes from the word for "Take it!" in Albanian; he was nicknamed so because of the many times he ordered his men to "take [the heads]" of his opponents, i.e. execute them. He was purportedly the only grand vizier who did not speak Turkish. Lefkeli Mustafa Pasha was an Ottoman statesman. He was Grand Vizier of the Ottoman Empire in 1622 and governor of Egypt in 1618. Gürcü Mehmed Pasha was an Ottoman statesman. He was grand vizier of the Ottoman Empire between 27 September 1651 and 20 June 1652. Hadım Mehmed Pasha was a Georgian Ottoman statesman. He was Grand Vizier of the Ottoman Empire between 21 September 1622 and 5 February 1623. He was also the Ottoman governor of Egypt from 1604 to 1605. Ivaz Mehmed Pasha, also known as Hacı Ivaz Mehmed Pasha or Hacı Ivazzade Mehmed Pasha, was an 18th-century Ottoman grand vizier and provincial governor. Nişancı Ahmed Pasha, also called Şehla Ahmed Pasha or Hacı Şehla Ahmed Pasha or Kör Vezir Ahmed Pasha, was an Ottoman Grand Vizier during the reign of Mahmud I. He was also the Ottoman governor of Egypt from 1748 to 1751. Boynuyaralı Mehmed Pasha, also known as Boynueğri Mehmed Pasha, was an Ottoman statesman. He was grand vizier of the Ottoman Empire from 26 April 1656 to 15 September 1656. Bayburtlu Kara Ibrahim Pasha was an Ottoman statesman. He was Grand Vizier of the Ottoman Empire from 25 December 1683 to 18 November 1685. He was also the Ottoman governor of Egypt from 1669 to 1673. Sarı Süleyman Paşa was the grand vizier of the Ottoman Empire from 18 November 1685 to 18 September 1687. He was executed after the defeat of the Ottoman forces in the Battle of Mohács (1687). Seyyid Hasan Pasha was an Ottoman grand vizier in the 18th century. Seyyid Emir Mehmed Pasha, known by the epithet "al-Sharif" among his Arab subjects, was an Ottoman statesman who served as defterdar, Ottoman governor of Egypt (1596–1598), and Ottoman governor of Damascus (1599–1600). Haseki Mehmed Pasha was an Ottoman statesman and administrator. He served as the Ottoman governor of Damascus Eyalet, Egypt Eyalet (1652–56), Baghdad Eyalet (1656–59), and Aleppo Eyalet (1659–61). Hatibzade Yahya Pasha was an Ottoman statesman and admiral. He served as Kapudan Pasha of the Ottoman Navy briefly in 1743, as well as serving as the Ottoman governor of Trabzon (1735–36), Ochakiv (1736–37), Bursa (1741), Egypt (1741–43), Rumelia, Aydın (1748), Mosul (1748), Diyarbekir (1748–49), Anatolia (1749–53), Vidin (1753–54), Ioannina (1755), and Trikala (1755). Sa'deddin Pasha al-Azm was an Ottoman statesman. He served as the Ottoman governor of Aleppo (1750–52), Sidon, Tripoli (Lebanon) (1752–57), Egypt (1757), Marash, Jeddah (1758/59–60), Konya (1760–61), Rakka (1761–62), and Baghdad. 1 2 Dânişmend 1971, p. 7. ↑ Yücel 1991, p. 310. 1 2 3 Dânişmend 1971, p. 8. ↑ Stavrides 2001, p. 55. ↑ Inalcik, Halil (1991). "Mesīḥ Pasha". The Encyclopedia of Islam, New Edition, Volume VI: Mahk–Mid. Leiden and New York: BRILL. pp. 1025–1026. ISBN 90-04-08112-7. ↑ Kočan, Ismet (Dec. 21, 2005). Mit i stvarnost - Mehmed-paša Sokolović, Večernje Novosti Online. ↑ Necipoğlu 2005, p. 403. ↑ Uzunçarşılı & Karal 1954, p. 393. ↑ Server Rifat İskit (1960). Resemli-haritalı mufassal Osmanlı tarihi. 4. İskit Yayını. p. 2067. ↑ Catharine Theimer Nepomnyashchy; Nicole Svobodny; Ludmilla A. Trigos (2006). Under the sky of my Africa: Alexander Pushkin and blackness. Northwestern University Press. p. 53. ISBN 0-8101-1971-4. Shortly afterward a new grand vizier, Hasan, came to take the place of the old one, and he held his post during the period we are interested in: from November 16, 1703, to September 28, 1704. He was the new sultan's son-in-law… "he was a very honest and comparatively humane pasha of Greek origin and cannot be suspected of selling the sultan's pages to a foreigner." ↑ Gawrych, George (2006). The Crescent and the Eagle: Ottoman rule, Islam and the Albanians, 1874–1913. London: IB Tauris. pp. 23, 26, 132, 153. ISBN 9781845112875. ↑ Prothero, George Walter (1920). Peace Handbooks: The Balkan states. H. M. Stationery Office. p. 45. OCLC 4694680. Hussein Hilmi Pasha, descended from a Greek convert to Islam in the island of Mitylene, was sent to Macedonia as High Commissioner. 1 2 Nâzım Tektaş, Sadrazamlar: Osmanlı'da ikinci adam saltanatı, Çatı Kitapları, 2002, p. .
Aktaş, Necati; Kaplan, Mustafa (2003). Osmanlı fermanları. Osmanlı Arşivi. Uzunçarşılı, İsmail Hakkı; Karal, Enver Ziya (1954). Osmanlı tarihi: cilt. Uzunçarşılı, İ.H. 1. kısım. II. Selim'in tahta çıkışından 1699 Karlofça andlaşmasına kadar (1973) 2. kısım. XVI. yüzyıl ortalarından XVII. yüzyıl sonuna kadar (1954). Türk Tarih Kurumu Basımevi.